Three books discuss the ditching of the Flying Tiger. 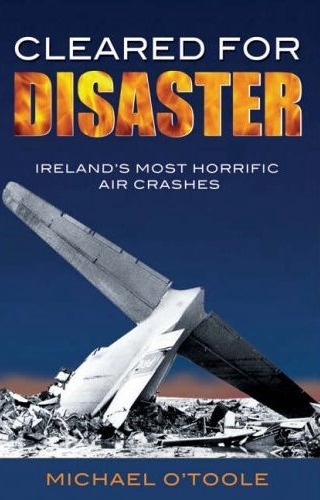 Cleared for Disaster: Ireland’s Most Horrific Air Crashes and In the Event of Water Landing devote one chapter each to the Flying Tiger disaster. A third, Born Again Irish, is totally devoted to the impacts of the demise of Flying Tiger 923 on the life of one surviver. It is presented in first person, autobiographical format. Born Again Irish, by O’Caruso (Fred Caruso), 269 pages, CGI Books, Colorado, available through the CGI Books direct (and autographed) for $16.00 plus shipping or through Amazon at various new and used prices. Publication date: March 17, 2007. This book is 100 percent built around the crash of the Flying Tiger and its impact on the author who was one of the survivors. The crash and the author’s evacuation by helicopter to Mercy Hospital in Cork, Ireland (where he claims to have been “reborn” as an Irishman) resulted in a lifelong journey that results in he and his wife becoming Irish citizens. They own a home in Glengarriff, a village in far west County Cork, Ireland, where they spend two to three months each year. Available through Amazon.com in ebook for Kindle or in paperback format at various prices, and through Mercier Press, Cork, Ireland. Publication Date: December 31, 2006. In those rare instances when things do go seriously wrong in flight, the results are usually horrific. Ireland has had a number of unfortunate and, in some cases, unexplained incidents, with deadly results. Why did the survivors of a KLM flight spend hours fighting for their lives in the Shannon mudflats while they waited for help, which never came from the airport just minutes away? What really downed the Aer Lingus Viscount at Tusker Rock? Was the US C-118 GlobeMaster, which vanished off the Irish coast, really carrying an atom bomb? What actually happened to Flying Tiger Flight 923 on September 23, 1962? Aviation writer Michael O’Toole explores the causes, traces the lives, tragedies, skill, bravery, heroism and possible human error involved in some of Ireland’s mysterious and deadly air disasters. This book tells of the ditching of Flying Tiger 923 and also for the first time the full stories of the Bermuda Sky Queen and Sovereign of the Skies rescues, the only two completely successful open ocean ditchings in Commercial Aviation history. 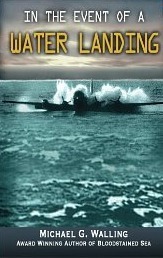 These stories encompass many facets of aircraft water ditchings: bad weather, engine failure, horrific sea conditions, and indomitable courage in the face of death. Between these three are tales of other ditchings as well as the journey we humans have undertaken from the beginning of transoceanic flight to today. Using the voices of passengers, flight crew, and those who rescued them, an amazing tale unfolds. Their vivid memories, interspersed with contemporary news reports, serve to flesh out the unemotional entries from official investigations. This entry was posted in Uncategorized and tagged Flying Tiger. Bookmark the permalink.